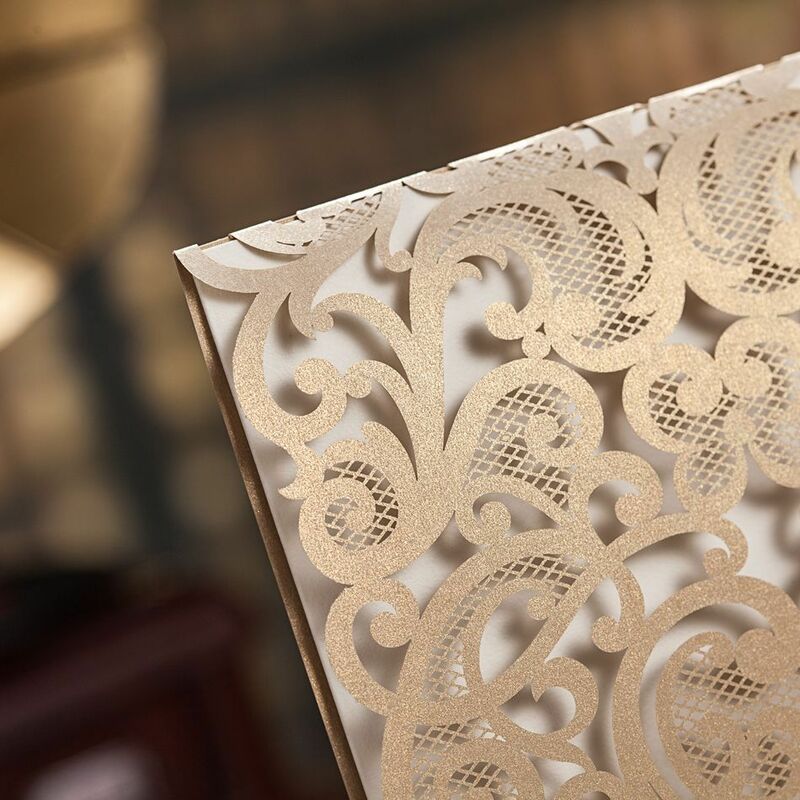 Our Indy Pocket Card is a modern contemporary wedding invitation made from 300gsm gold shimmer board. The card opens in portrait style and reveals the inserts sitting inside the pocket with one insert stuck onto the centre half. The front flap has a ivory tag with printed names of couple and the date of wedding, this is mounted onto a designer paper backing in blue & aqua shades. A velco attachment under the tag keeps the card shut. Complete with ivory shimmer envelope with a matching name tag to finish the card.